"Wake up, wake up, wake up / It's the 1st of the month / So get up, get up, get up..." So, it's not one of my favorite songs, but this is undoubtedly one of my favorite pieces of record label promo. 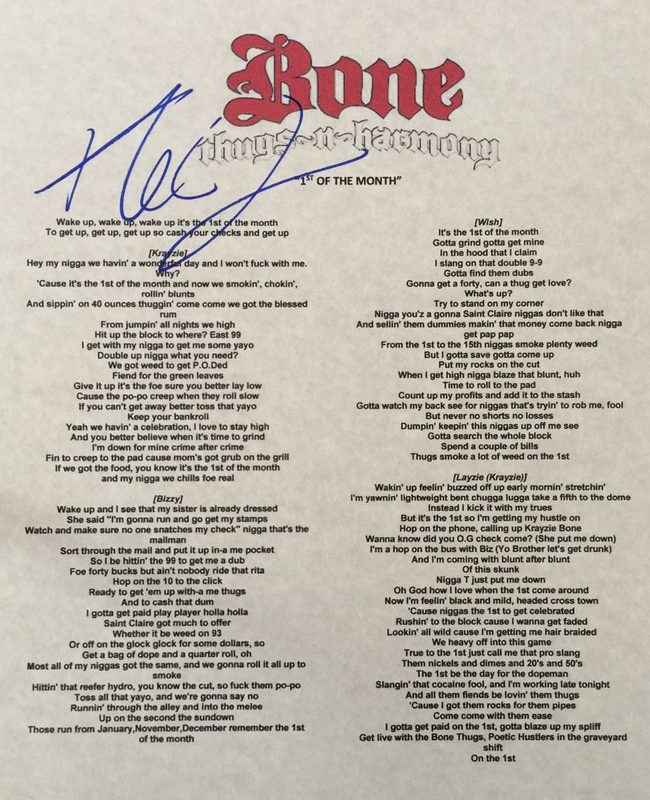 Bone Thugs-N-Harmony sent out a $5 food coupon with the press-kit for their album 'E. 1999 Eternal' in 1995. The album was released through Ruthless Records, which was founded by Eazy-E and Jerry Heller, but by this release, Eazy had switched distributors from Priority Records to Relativity, (allegedly) due to concerns about Jerry Heller being funny with his money. Either way, the press kit showed up in a Relativity folder with a publicity photo, the above food coupon and a press release that stated: "When Bone Thugs-N-Harmony were coming up, the 1st of the month was a day to rejoice because the welfare check guaranteed everyone a good meal. Today, the ‘1st Of Tha Month’ is giving Bone new reason to celebrate." It was the first single off 'E. 1999 Eternal,' and the album was released just 4 short months after Eazy-E passed away from complications of AIDS. The album and song 'Tha Crossroads' were a tribute to Eazy-E and while an original version of 'Crossroads' was included on the album, it was later reworked and reissued as the 3rd single from the album. We'll revisit that another day, for now, enjoy the 1st of tha month & Rest In Peace, Eazy-E.